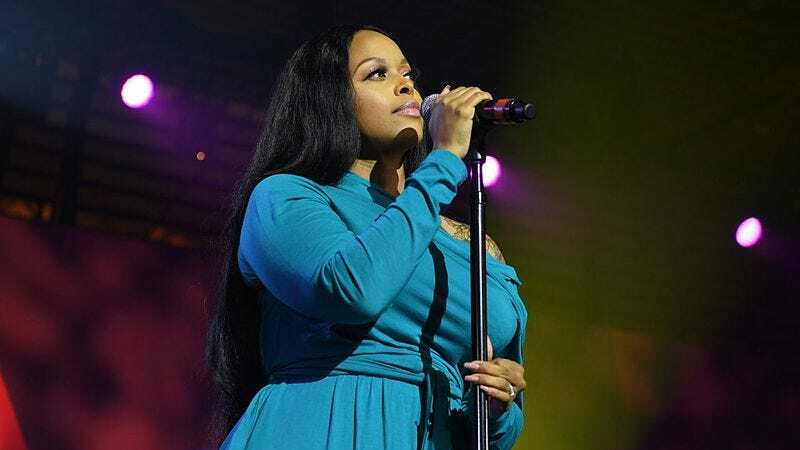 Singer-songwriter Chrisette Michele has taken some flak for her decision to perform at Donald Trump’s inauguration tomorrow despite calls to boycott it. (Apparently, the boycott has something to do with him filling his cabinet with white supremacists and painting black culture as dangerous and ugly at every available opportunity.) Now, though, it’s not just a PR issue for the vocalist. She’s actually losing money. Filmmaker Spike Lee announced on Instagram today that he can’t in good faith use Michele’s song “Black Girl Magic” in his upcoming Netflix series She’s Gotta Have It, considering the people with whom she aligns herself. My heart is broken for our country, for the hopes of our children, for the fights of those who came before us. I cry at the thought that Black History, American History might be in vain. This country has had great moments. God has shined His light upon us. Today, I hope that Great Moments begin in peaceful & progressive conversation. I am willing to be a bridge. I don’t mind “These Stones”, if they allow me to be a voice for the voiceless. I am here. Dr. Martin Luther King Jr. once said, “Our lives begin to end, the day we become silent about what matters.” I am here, representing you, because this is what matters. Below is where we would normally include an embed of Michele’s song “Black Girl Magic,” but in self-satisfied solidarity with Mr. Lee, we’re gonna swap that out with this slick promotional video for The B Street Band, the Bruce Springsteen cover band that was ultimately shamed into pulling out of the inaugural celebrations earlier this week.